While personal variables like age, education, and gender are often thought to contribute to a persons distinctive speech pattern, corporate environments often develop its own way of communication which include larger scale variables like the economy and organizational traditions. 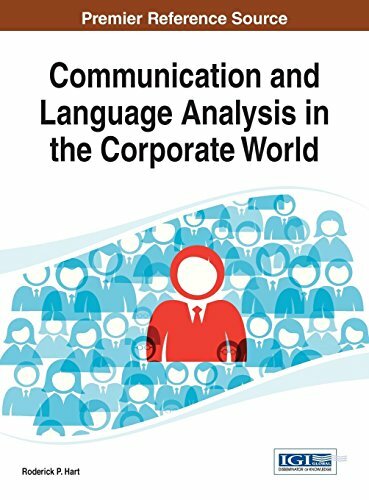 Communication and Language Analysis in the Corporate World provides insight into the verbiage of the corporate world and the influence of this environment for a persons speech pattern, language, and terminology. This book will provide a guide for language researchers and business leaders alike so that they may find a way to communicate with everyone customers, colleagues, and CEOs effectively. View More In Project Management. If you have any questions about this product by IGI Global, contact us by completing and submitting the form below. If you are looking for a specif part number, please include it with your message.